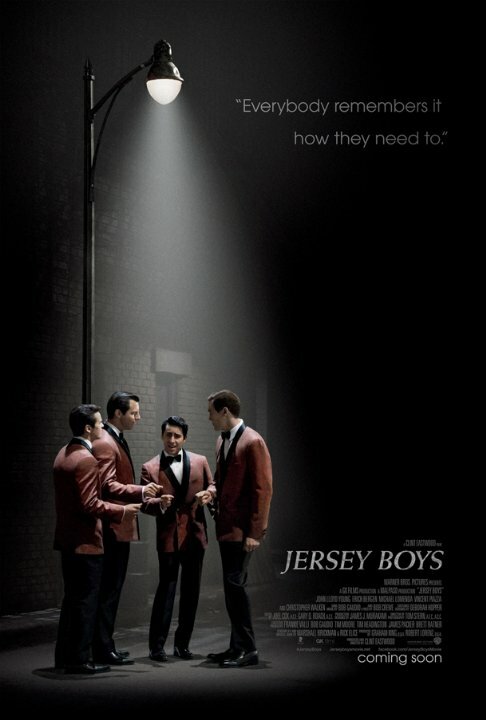 Funny story: I actually went to see Jersey Boys on Broadway. It was fantastic. I don't think I ever realized just how many of Frankie Valli's songs I knew. So the play ends and I turn to my companions to excitedly talk about what we had just watched, when their blank faces remind me that they are both foreign and have no nostalgia whatsoever tied to this music. This is to say, the music really makes the story. And the music is always more exiting live. (That's what the hipsters say anyway.) So this movie, even with the exact same running time as the stage show, feels at least twice as long. In summary: this movie is boring. Even trying to write a review of this movie feels boring. The story is a your classic underdog-meets-fame type of story, but Jersey-fied, with the mafia, thick accents, and greased hair. Even if you don't know the story of Frankie Valli and the Four Seasons, this still somehow doesn't feel fresh or engaging. You're basically just passing the time between musical numbers. And even those are performed with mediocre enthusiasm. I don't know if it's entirely Clint Eastwood's fault, but it sure feels like it. Final word: Save your money for the real thing on Broadway.